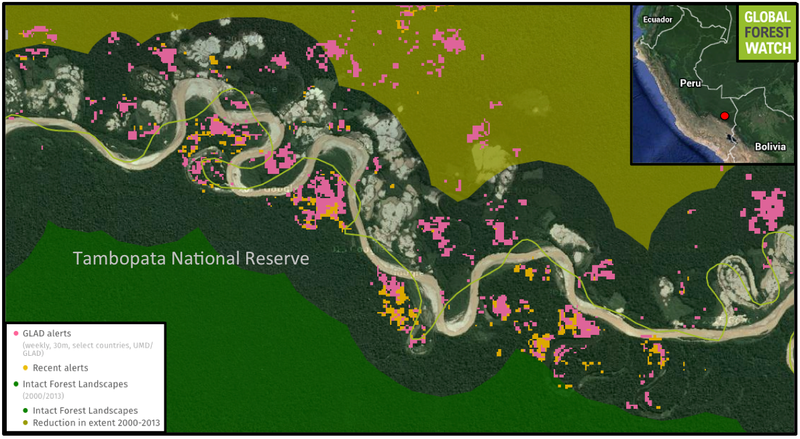 Gold mining is encroaching along the Malinowski River into Tambopata National Reserve, a protected area in southern Peru. River experts warn this will have devastating repercussions for the river’s wildlife. Illegal gold mining has become a big problem for Tambopata National Reserve in southern Peru. 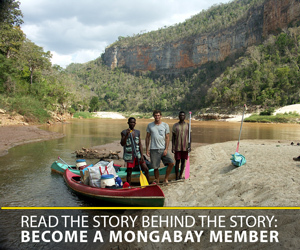 Despite its status as an official protected area, mining has encroached along the river that forms the reserve’s northern border. The activity has supplanted significant areas of forest, and now researchers have found another cause for alarm – gold mining is actually changing the river itself, threatening ecosystems that have evolved there for millennia. Over the past few years, miners looking to cash in on flecks of gold at river bottoms and banks in Peru’s Madre de Dios Department have been encroaching closer to Tambopata National Reserve along the Malinowski River. Then, in late 2015, mining activity jumped over the boundary into the reserve itself. Since then, mining has deforested around 130 hectares of the reserve’s rainforest, with no signs of slowing despite government intervention. 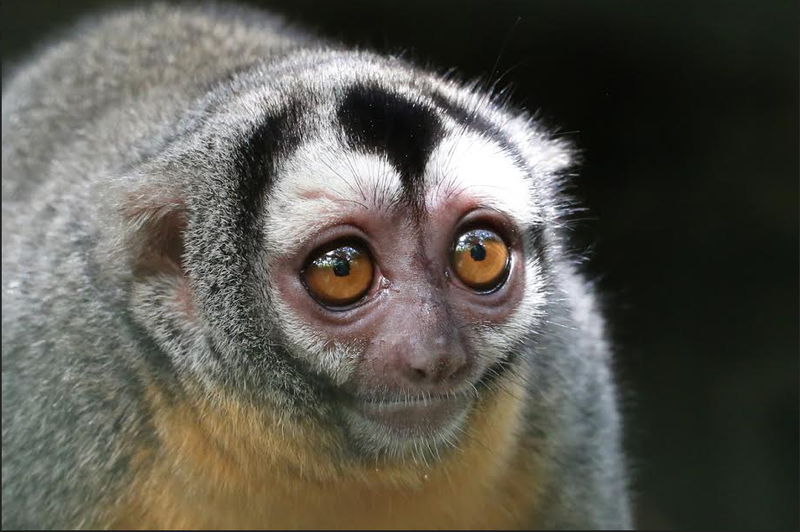 Global Forest Watch shows another big surge of deforestation into the reserve may have happened recently, with a large number of tree cover loss alerts recorded over the border in the first week of May. 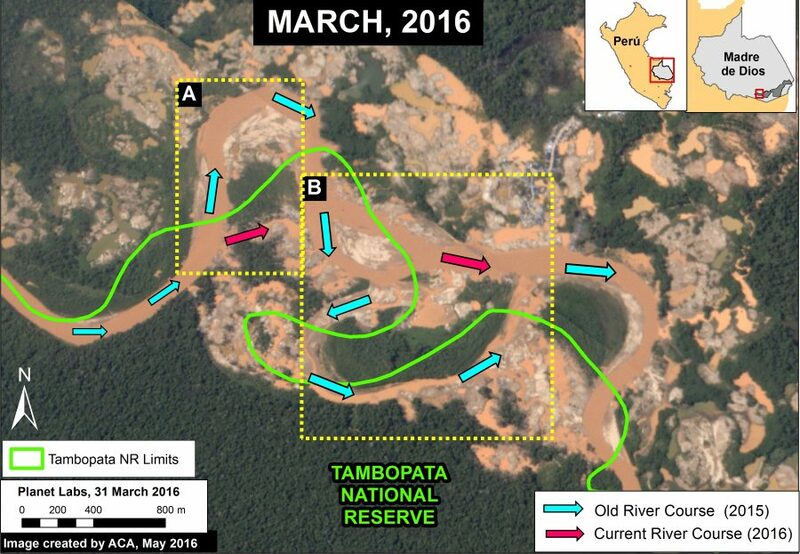 GLAD tree cover loss alerts spanning January 2015 to May 2016 indicate heavy mining-related deforestation along the Malinowski River and into Tambopata National Reserve (green line). The orange alerts were recorded in the first week of May, and encroach into an Intact Forest Landscape: a particularly large, undisturbed area of primary forest.